Nobody likes cockroaches, but just in case you needed yet another reason to add them to your list of most despised pests, they are also a major allergy and asthma trigger. If you or one of your kids just can’t seem to fight off what you thought was seasonal allergies, you might want to check out these tips for getting rid of those nasty cockroach allergens. When was the last time you gave your home a good vacuum? In areas of your home that get a lot of traffic, like mudrooms, living rooms, and bedrooms, you should be vacuuming a couple times a week. Cockroach allergens are relatively large, so the more you vacuum, the less likely you are to have those pesky allergens lying around. Cockroaches are kind of like hungry kids – always drawn to kitchens. If you’re someone who leaves dirty dishes in the sink overnight or doesn’t sweep up any crumbs that fall on the floor, you’re inviting cockroaches over for a hearty meal. Keep your kitchen clean and tidy to cut off their food source. If a cockroach can’t find any food, they’ll probably look elsewhere. Not only do cockroaches love a good meal, but they’re also attracted to water and moisture. Any leaky pipes or faucets you leave unattended are fair game for your local cockroach family. Since cockroaches like dark areas, they’ll sneak out to find sources of water while you’re sound asleep, meaning you may never know they’re even there. Be sure to take care of any excess water before you go to bed, and make sure your basements and crawl spaces are properly ventilated. If you feel like you’ve done everything you can to try to get rid of cockroach allergens, but nothing seems to work, you could have a more serious problem on your hands such as an infestation. That’s where we come in. We’re here to make you feel safe in your home and remove any unwanted pests and allergens. Don’t wait until the last minute. 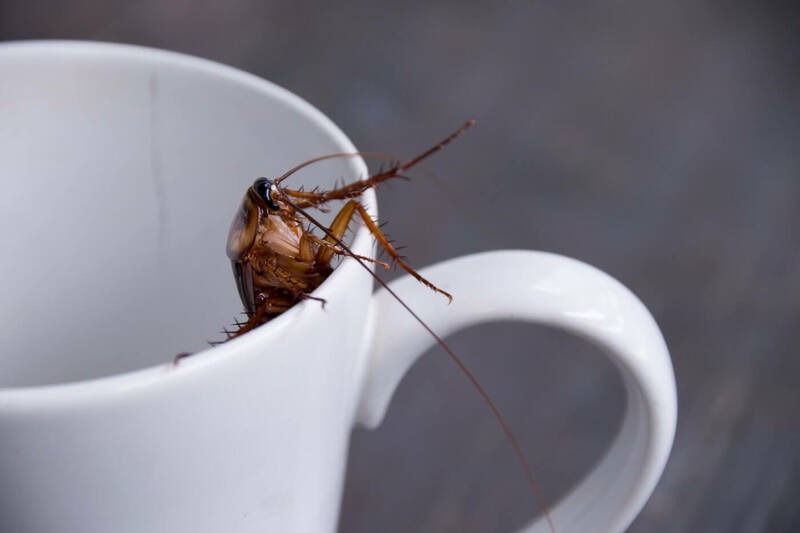 If you notice a cockroach problem, give us a call right away! We’ll even come out for a free in-home inspection and give you a free quote on the treatment that’s best for you. Reach out to us here or call us at 866-856-2724.